No matter the type of business you’re running, being online is a must. Whether you’re a startup of a Fortune 500 company, without being present online, you practically do not exist. In order for brands to stay relevant and use the web to its maximum potential, online presence is an imperative. However, there are lots of companies that simply create a website, a social media profile or two and call it a day. Being online is a continuous effort, and the amount of dedication and work you spend will reflect on your overall success. If you don’t want to be left in the dark, your best bet is online presence optimization – ensuring you do what matters, in order to get the best return on investment for your online activities. Here’s a few ways to get started and ensure that you make the most out of your brand’s presence online. In the digital age, your website is your calling card. The majority of customers who purchase your products or service will either find you through your website or end up there at some point. Therefore, there’s no excuse to have a poorly designed website, or even worse, no website at all. There are currently a range of tools available tools that allow you to create a website on your own. These include Squarespace, Wix, Weebly and many others. While these are easy to use and don’t cost too much, they also pose quite a lot of limitations. Primarily, you risk that your website looks like a bunch of others built on the same platform. Our personal recommendation is to build a site on WordPress. This well-known content management system is easy to use, comes with plenty of resources such as themes and plugins, and it comes with a lot of support such as tutorials and guides. To top it all off, it’s free to use. For complete beginners, WordPress may be a bit difficult to use, but the learning curve is nothing terrible. Within a couple of months, you can learn enough to build a good-looking website. However, for those who don’t have the time, it’s best to hire a team of developers and designers. Speaking of which, the second step is building a great website design. It should be in line with your brand – or you could do complete rebranding along with a new design. Make sure to choose proper color combinations, professional images and provide excellent user experience. Unfortunately, this is not something that most laymen can do on their own, so it’s best to hire a professional to take care of this aspect for you. Great design is not a luxury, it is an absolute necessity. First impressions matter quite a lot, and the vast majority of people who land on your website will leave it in mere seconds. For this reason, you need to ensure that you have all the elements of a quality page, as well as get their layout right. Another crucial aspect to your website is its content. Primarily, the main pages need to have good copy and clear messaging. What are you selling? What pain points do you solve? Who is your target audience and how do you intend to reach them? Once you’ve come up with perfect copy for your main and landing pages, do some split testing to see what works best and converts visitors into customers. Then there’s the other content that matters. Content marketing has become one of the biggest marketing trends of the past decade, and for a good reason. It offers one of the biggest returns on investment and it provides excellent value to businesses and their customers. One of the most common ways to get started with content marketing is blogging. If you have a website without a blog – you’re seriously missing out. Not only is it a great way to build an audience, it can do wonders for your search engine optimization (more on that in a minute). Besides blogs, some other common content forms include videos, webinars, eBooks, case studies and many others. For complete online presence optimization, it’s necessary to find the type of content that works for your industry and brand, which may require some experimenting, but it pays dividends in the future. There’s no proper online presence optimization without search engine optimization. SEO has been one of the biggest buzzwords of online marketing for quite a while now, and it’s for a good reason. As it turns out, not even the best product and website in the world can make up for a poorly optimized website. Put simply, SEO refers to tweaking your website so that it performs better in search engine results pages for websites such as Google, Yahoo or Bing. Let’s be honest – when was the last time you typed out the full address for a website and visited it? The fact of the matter is that most people use search engines to get informed, find solutions and make purchases. In the end, the aim is to rank as high as possible for a given search term, such as “hand made shoes“, for example. There are two aspects of SEO – on-page and off-page SEO. By combining both, you ensure that you drive significant amounts of traffic from organic, and visitors will come flocking in from search engines straight to your site. First, you must ensure that your website structure is properly set up. For SEO purposes, WordPress is the best platform because there’s not a lot of tweaking that has to be done. Even when there is, there’s tons of useful plugins such as Yoast to help you out. Second, your page text needs to be optimized. To put it simply, by placing the right keywords in the right places, you ensure that search engines rank your website higher for that word. The second part of SEO is off-page optimization, which is a bit harder to do but it is absolutely necessary for your online presence. Off-page refers to getting other websites to link to yours, which requires lots of patience and clever link building. If you’re writing great content, over time people will start linking to you naturally, but often times, you need to do some outreach and ensure that others share and link to your content. One of the biggest errors we see with SEO is that people think that it’s a one-time thing. While that would be great, unfortunately it is not the case. Google’s algorithms change frequently and if something worked today, there’s no guarantees it will work tomorrow. On top of this, more and more companies are utilizing SEO in their marketing, and if you’re falling behind, someone else is bound to take your place. Even if you have a great website with lots of visitors, it won’t mean much if they don’t have a way to engage with your brand. For this reason, social media is an absolute must to boost your presence online. It allows you to interact with your fans and followers and improve your online presence in a way that you would not be able to do with just a website. One of the biggest blunders with social media is trying to be present everywhere at once. While this is generally a good idea, not every brand from every branch of industry needs 10 social media profiles. In order not to stretch yourself too thin, focus on a limited number of channels and put stress on quality over quantity. Second, some social media networks function great, no matter the type of business. Facebook and Twitter have large user bases and a brand of any kind can find their place here. You can share articles, images, company updates – whatever you can think of. These are also great places to interact with fans and followers, as they will be using these networks to communicate with their friends and family. Put simply, you’re putting yourself directly in front of your target audience. On the other hand, there are more specialist social networks such as LinkedIn, Google+, Pinterest, Tumblr, YouTube and many others. Whether you will be active on any of these depends purely on the type of business you do. For example, LinkedIn is proven to be excellent for B2B marketing, but it may not be the best choice if you’re selling shoes, for example. On the other hand, you can sell plenty of shoes on Instagram, but you’ll hardly strike any significant deals with major contractors. The key to success with social media lies in testing and careful research. Namely, you need to go where your target audience is and establish a strong online presence on those channels. For example, Instagram is mostly populated by 18-35-year-old women. Once you have established the channels you will be using, you can focus on content. Sometimes even the best of design and content doesn’t really work out. Or perhaps, you simply need some help getting off the ground with your brand and website. If organic traffic does not seem to work, paid traffic always hits the mark. 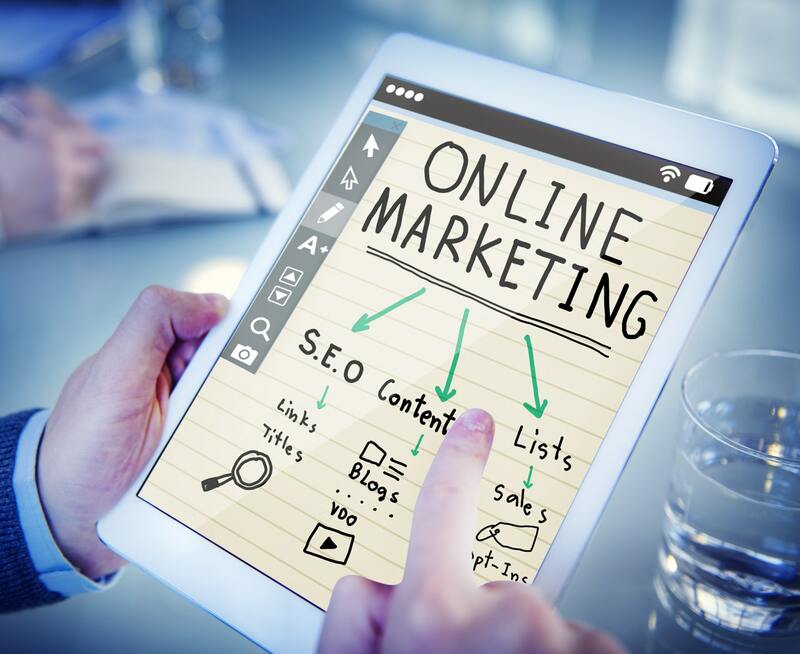 If you’re looking for a quick fix to get people to come to your website and boost your online presence, paid advertising is the fastest and most efficient method. Also named pay-per-click (PPC) advertising, it functions in a way that visitors are targeted with ads every time they search for a certain term in Google and other search engines. However, PPC has one major disadvantage – it can be quite expensive. Depending on the competition and the traffic you’re up against, you could end up paying anywhere from a couple of cents to $100 for a single click on your ad. This is why we strongly suggest hiring a PPC expert to tackle this type of advertising instead of trying out on your own. By targeting our example keyword “handmade shoes“, you probably won’t get results that are too good. Instead, a more specific keyword such as “handmade shoes for sale in Birmingham“ will probably target exactly those people ready to pull the trigger and commit to a purchase. As a standalone method of advertising, PPC is not the most effective. The reason is simple – it’s a short-term solution that drives traffic as long as you’re paying. In this regard, content and proper SEO strategies are more efficient for long-term marketing plans. However, PPC can be extremely efficient in driving exactly the people you want to your website, and its power should not be ignored. It’s best to combine PPC with other online presence methods instead of utilizing it on its own. Does all of this seem like hard work to you? Perhaps you’re too busy running your business in order to have time to tackle your website, SEO and social media presence. Don’t worry – we know exactly how you feel. This is why we launched ADSpirine, a digital marketing agency that does it all at once. No matter if you’re a startup or a major corporation, everybody needs a helping hand with their online presence from time to time. We’ve helped numerous companies launch and improve their presence online – we can help you out as well. Our Growth Hero packages have everything you need to get your brand to online start status in no time. Reach out to us today to get started! Next articleOptimize Your Online Presence for Sales, Not for Traffic!